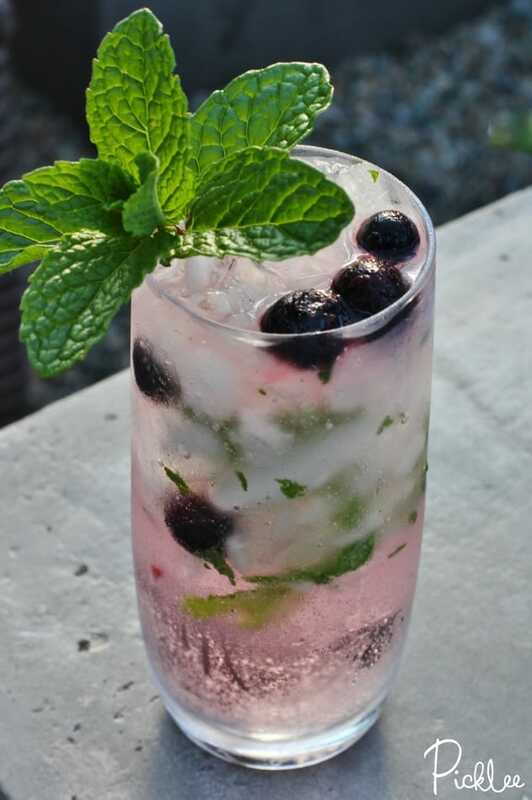 Muddle vodka, mint and blueberries together in a shaker. Add one cup of crushed ice and SHAKE, SHAKE, SHAKE! 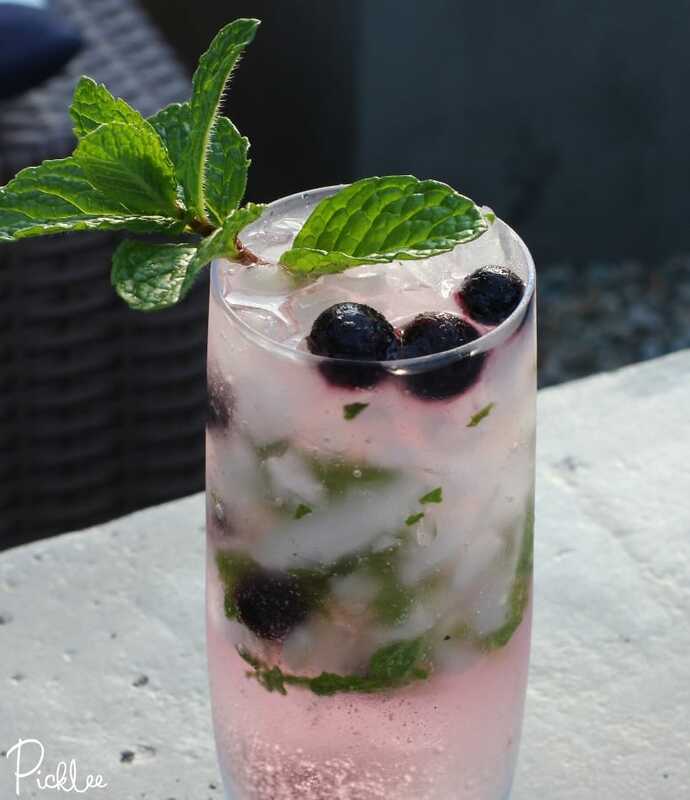 Pour into a cocktail glass and top with Sprite Zero, garnish with remaining min & blueberries! 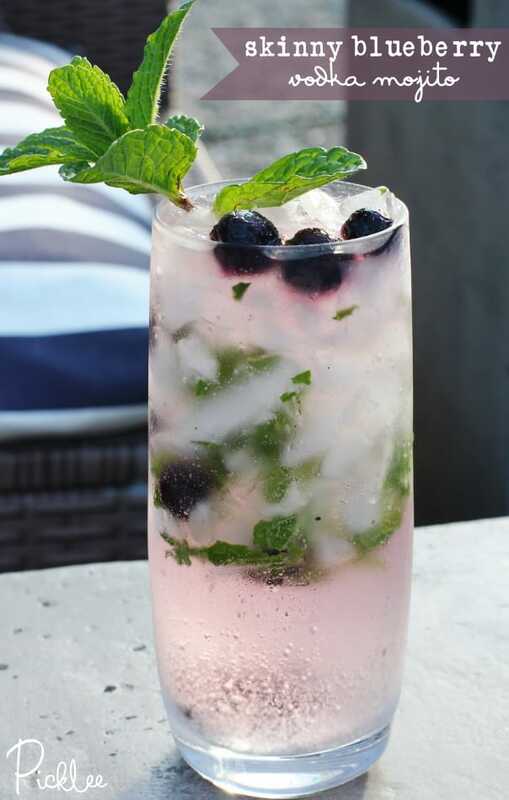 Enjoyed this Skinny Blueberry Vodka Mojito? Find more skinny cocktail recipes here! the perfect drink for summer.. love it! definitely one i will be recreating, i could definitely kick back with a glass now! Pingback: 23 YUMMY SIGNATURE WEDDING COCKTAILS TO GET THE PARTY STARTED | Celebrations Ltd.
what a great combination for blueberry and vodka. it looks absolutely irresistible!